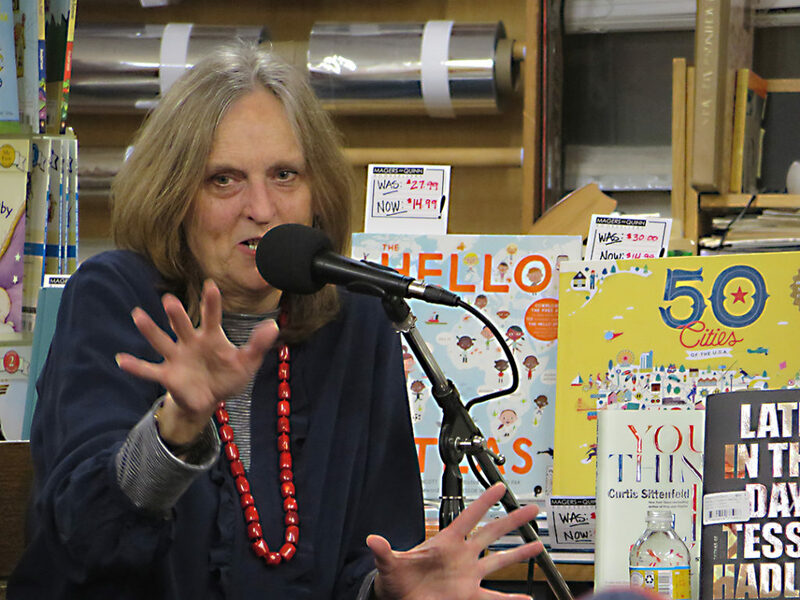 British author Tessa Hadley and newly-local author Curtis Sittenfeld had a lively discussion about Hadley's new novel, Late in the Day, as well as writing habits, novels vs. short stories, and much more before a packed crowd on a chilly winter night. 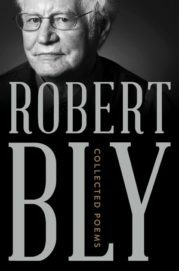 While the 92-year old Robert Bly was, as event curator and emcee Jim Lenfestey put it, “sensibly at home in his pajamas,” over 30 voices filled Plymouth Congregational Church to celebrate the publication of his Collected Poems. Individual poems were read by several members of the Bly family (Bridgit, Noah, Emily, Max, Isaac, and David), the heads of local literary organizations (Rain Taxi’s Eric Lorberer, The Loft’s Britt Udesen, and the Anderson Center’s Stephanie Anderson), and many poets and artists connected to Bly’s work (Michael Dennis Brown, George Dubie, Mary Moore Easter, Mike Hazard, Ezra Hyland, Louis Jenkins, Robert Johnson, Patricia Kirkpatrick, Freya Manfred, Jim Moore, Bly & Rowan Pope, Josh Preston, Matt Rasmussen, George Roberts, Thomas R. Smith, Warren Woessner, and Tim Young). The event also included a brief history by Bly’s official biographer Mark Gustafson; charming anecdotes by his longtime friend and co-editor of The Fifties William Duffy; music by flautist Peter Skjervold; recordings of poetry readings by Robert and Ruth Bly; and the publication of a broadside created by Gaylord Schanilec and Hans Koch. It was an exhilarating event. 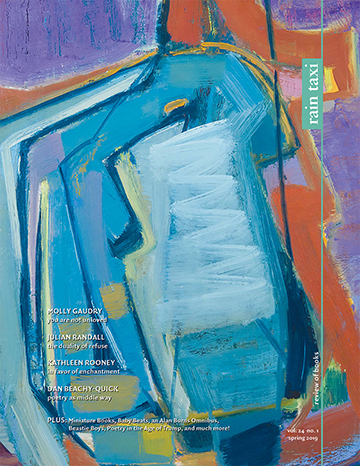 Happy Collected Poems, Robert! 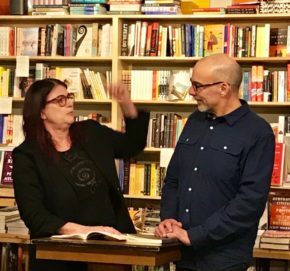 Poet Claudia Keelan entranced with a reading from her selected and new collection, We Step Into the Sea, along with some selections from her translations of poems by women troubadours from Truth of My Songs: Poems of the Trobairitz, with the help of audience members. Keelan was joined by local poet Chris Santiago, who warmed up the crowd with poems from his recent book, Tula. 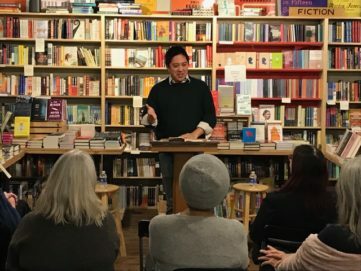 A splendid time was had by an overflowing crowd at the book launch for Ed Bok Lee’s Mitochondrial Night, with DJ Nak providing music and opening poets Saymoukda Vongsay and Donte Collins helping to kick things off. 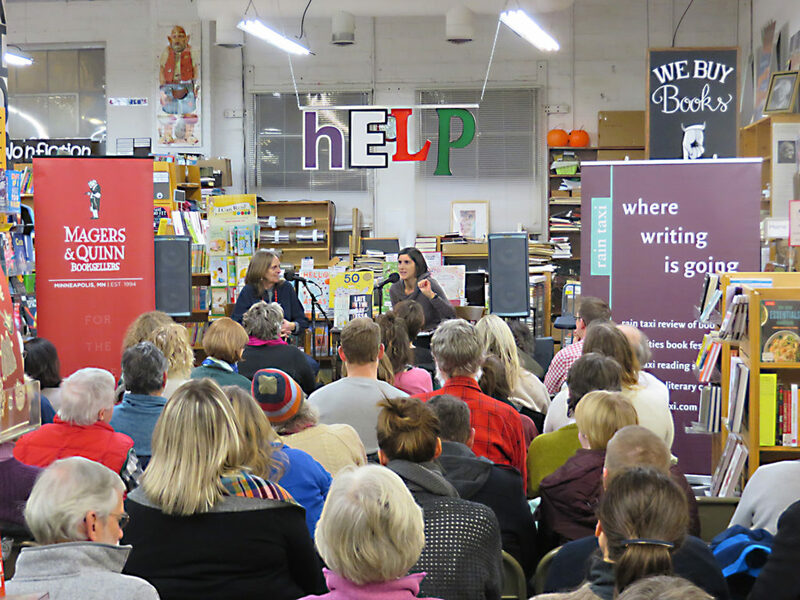 The event, free and open to the public, was co-sponsored by Literary Witnesses, Rain Taxi Review of Books and Korean Quarterly. This entry was posted in past readings, Uncategorized on January 29, 2019 by Kelly.